There are many great places to shop in Rome, but many of the designer shops on the Via Condotti are not affordable to the general shopping public. Luckily, there are several places in Italy's capital where you can find designer apparel at bargain prices, as well as outlet centers that can be reached by shuttle bus from Rome. Within the historic center of Rome, there are several shops that sell extras from designer showrooms or secondhand duds from the city's fashion set. The best place to look is in the section of town west of Piazza Navona and Campo de' Fiori, particularly around Via del Governo Vecchio and Corso Vittorio Emanuele II. 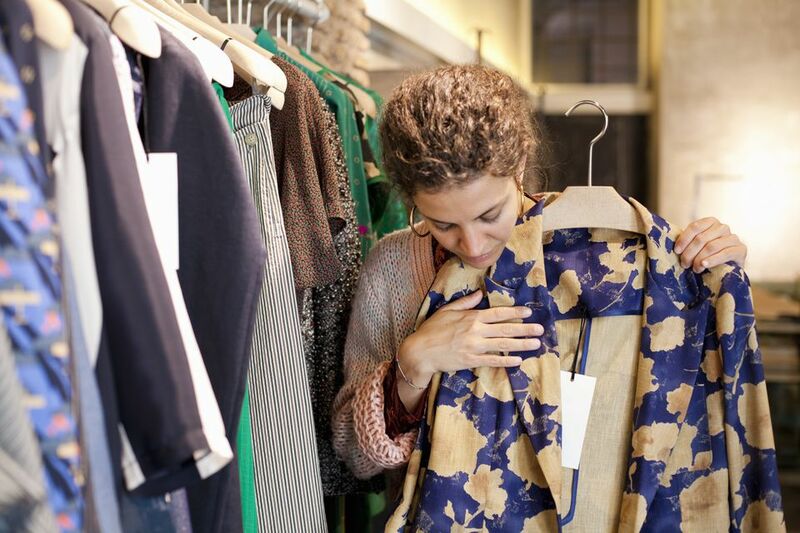 On a short stretch of Via del Governo Vecchio, near where it intersects with Via di Parione, you'll find a cluster of well-established vintage and used clothing stores, including Dafano Omero, Vestiti Usati Cinzia, and ​Ciao Vintage. On Corso Vittorio Emanuele II, Antonella e Fabrizio is a boutique shop with discounted merchandise from major Italian labels. On the way from Via Arenula to Campo de'Fiori, Via del Giubbonari is lined with mostly affordable one-off stores, as well as street vendors hawking fake (and illegal) designer handbags. Across the river, you can poke around Trastevere's narrow streets to find one-of-a-kind looks from local designers. If you want to bring home some perfume that you won't smell on anyone else, Romastore Profumi (at Via della Lungaretta 63) sells rare varieties of scent from Italian and international designers. Another popular place to find a wide selection of designer labels is Gente, a store with several locations throughout the city including on Via del Babuino (Numbers 81 and 185) and Via Frattina, 69. Both streets are near the Spanish Steps. Gente even has its own outlet at Via Cola di Rienzo, 246 (located on the west bank of the Tiber River). If you want to bring home some Italian fashions without maxing out your credit cards, Via Cola di Rienzo, which runs between the Tiber River and Vatican City, is lined with mid-range to higher-end stores. Some familiar brands include Nike, Pandora, and Zara – they may not be "made in Italy" fashions but at least you can say you bought your items in Italy. Travel Tip: Rome's fashion boutiques hold huge sales twice a year in January and July. Shoppers can expect to find items discounted up to 70 percent, making those two months excellent times to find bargains in Rome. Rome's suburbs have several outlets worth visiting. South of the EUR district are the outlets at Castel Romano, part of the McArthurGlen chain of outlet centers. Castel Romano has 110 outlet boutiques, including Dolce e Gabbana, Roberto Cavalli, La Perla, Ermenegildo Zegna, Salvatore Ferragamo, Calvin Klein, Valentino, and more. Castel Romano is open daily, 10:00 - 21:00 and a shuttle bus runs several times a day from Termini Station to Castel Romano. Also close to Castel Romano is the movie theme park, Cinecitta World. Also south of Rome, on the freeway towards Naples, is the ​Valmontone Fashion Outlet, part of the Fashion District chain of outlets. Valmontone boasts approximately 200 designer outlets including Bottega Veneta, Adidas, Byblos, Frette, Valleverde, and dozens of other boutiques by Italian and international designers. If you're in Rome without a car, Valmontone offers a shuttle bus to its outlets on Thursday to Sunday, with pick-up near Termini station. For where to shop and what to buy in other Italian cities and towns, see Shopping in Italy.